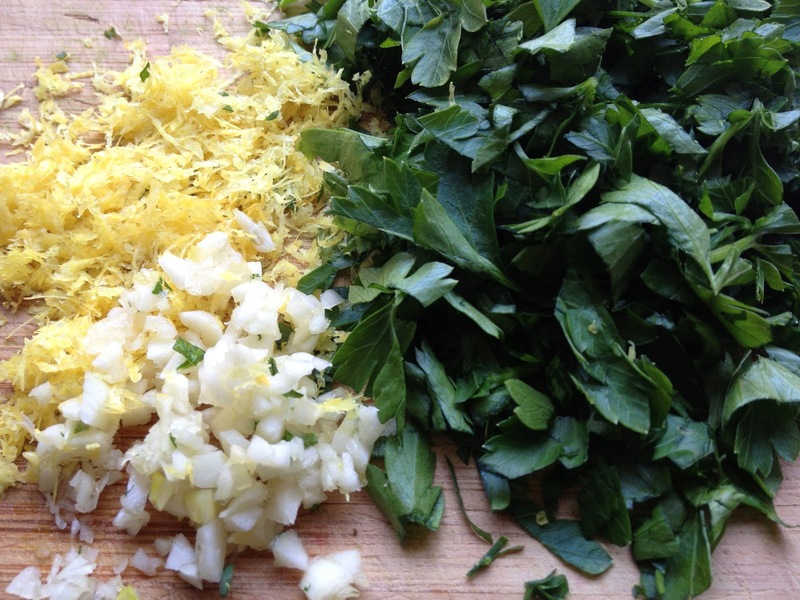 Chop the parsley, mince the garlic and grate the zest of the lemon. (Be sure that the lemon is nice and clean, organic preferably.) 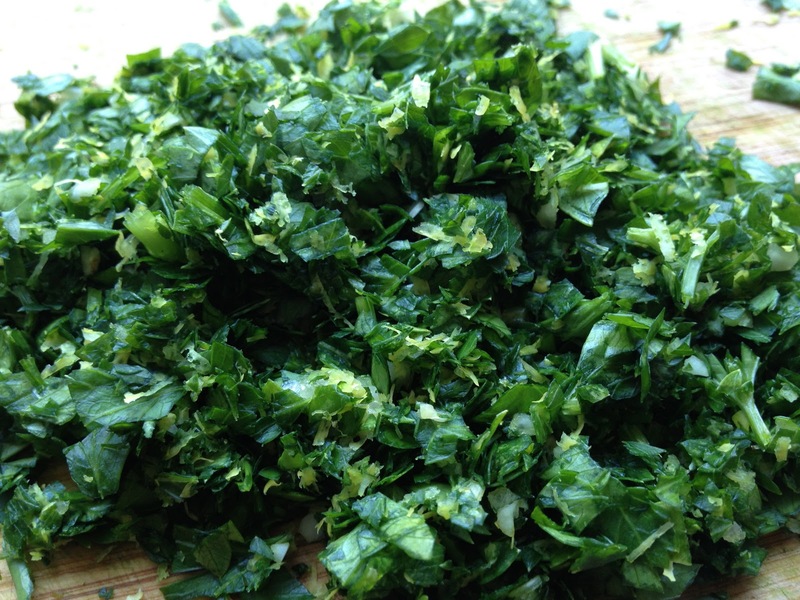 Then pile it up and chop it all together. 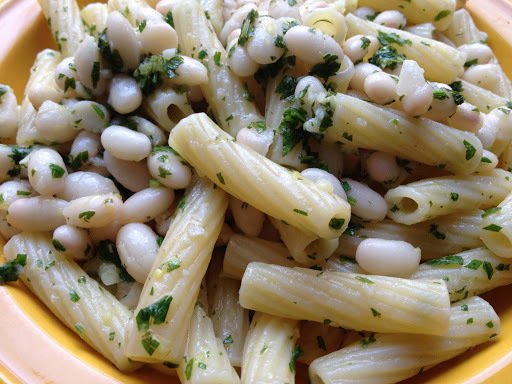 For lunch today, I made pasta and added the gremolata, Great Northern beans, the juice of half of the lemon and salt. Enjoy!